In which your humble blogger undertakes the grand task of driving the length of every state highway in Washington . . . in numerical order! 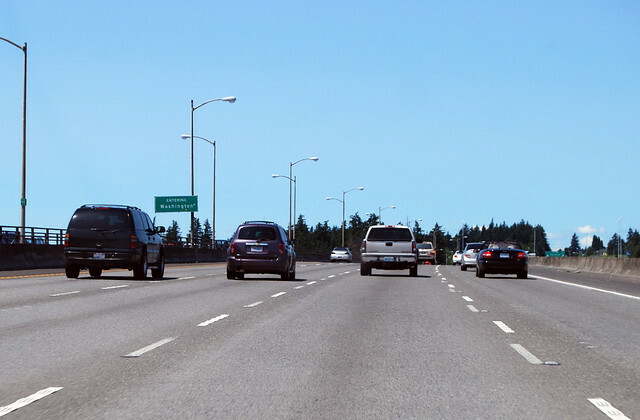 On Wednesday, July 4, 2012, we celebrated our independence by driving Washington's half of I-205! 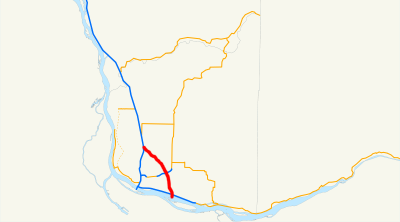 Beginning at the Washington-Oregon boundary line in the vicinity east of Vancouver, thence northwesterly to a junction with state route number 5 in the vicinity of Salmon Creek, north of Vancouver. 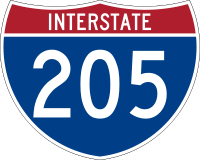 Washington State Route 205 is I-205 in Washington, thus it begins on the Glenn Jackson Bridge at the state line with Oregon above the Columbia River. 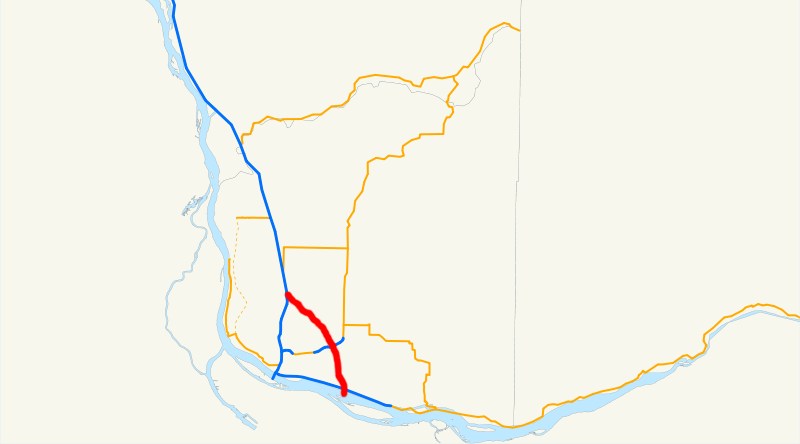 The first milepost is mile 27, which makes I-205 the only state highway in Washington that has its mileposts coordinated with Oregon. I-5 nor any of the US highways (101, 97, 197, 730) are like this. I'll assume it's a USDOT rule for secondary routes in the Interstate System. I-205's bridge is much higher than I-5's, providing lovely, unobstructed views for your passengers of the Columbia River and Mt Hood upstream. At the north bank, we quickly arrive at the interchange with SR 14. Want to go to Vancouver? After a couple miles of cruising through the eastern 'burbs of Vancouver in a tree-lined trench, we arrive at the interchange with SR 500. Gherrrr! The parkway feel continues as I-205 heads northwest through what seems like forested wilderness. There's only the briefest glimpses of houses and other buildings. 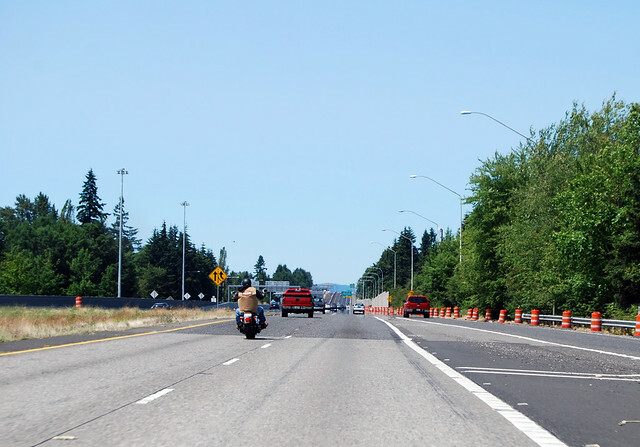 We cross Salmon Creek and without any notification signs, we've reached I-5 and I-205 is finished. It goes so quick, I don't have much to say. 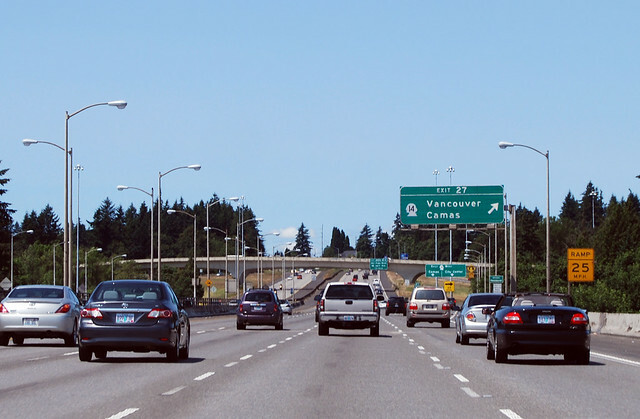 I-205 is a much more pleasant drive than I-5 through Vancouver and across the Columbia. King, husband, architect, etc. etc. etc. 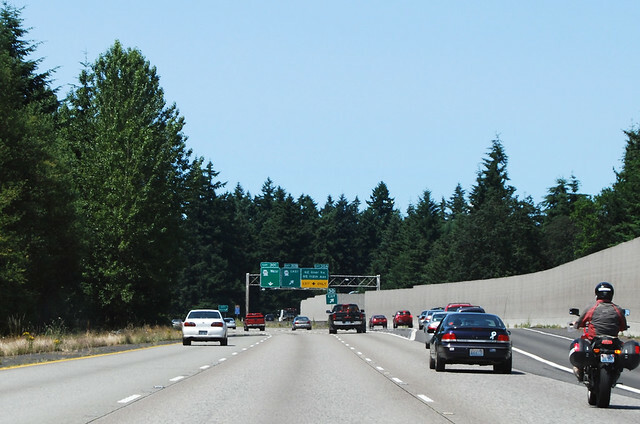 Corco Highways : The site of a fellow driver who has driven every highway in Washington, but (*gasp*) out of order!